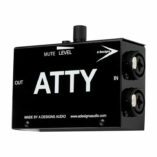 This is a single-ended, high input impedance, discrete audio pre-amp designed for high impedance, unbalanced outputs such as: guitar, bass guitar, and electronic keyboards. Just as a low impedance, balanced pre-amp is needed for use with microphones, a pre-amplifier design for unbalanced high impedance instruments is also required. The KGB Series contains high voltage, discrete op-amps with superb quality balanced output transformers made by Cinemag, Inc. The KGB-II is a two-channel, solid state unit that allows use of both channels for stereo recordings or live performances. This makes a good marriage with stereo out instruments like keyboards or stereo guitar pickups. And for guitarists and bass players, there is the added freedom of swapping between two instruments in a live performance, simply by picking up the other bass/guitar and start playing with no delay between songs. KGB-II Features: – Two Discrete Inputs with Thru – Gain Select Switches for each channel – High/Low – Phase Reverse Switch for each channel – Gain Lift Switch – External Power Transformer for a very low Noise Floor. 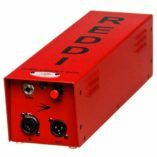 APPLICATIONS:– Output to Line-In to FOH or Stage Monitors.– Output to Line-In on a Recording Console.– Output to Input of Digital Audio Converters.– Output to Power Amplifiers.– Both devices provide a Balanced, Line-Level +4db Output, which allows for bypass of the typical DI, Microphone Preamplifier and other input stages. 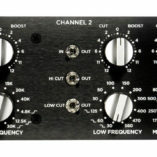 Single Channel Instrument Preamp with E.Q. 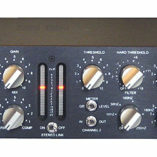 The KGB-Itf (that stands for Tone Filters) is a mono unit, with the same general features (see above) of the KGB-II, but includes three tone controls, High, Mid, and Bass. KGB 1tf Features:– Single Discrete Input with Through socket – High/Low Gain Select Switch – Phase Reverse Switch – Ground Lift Switch – External Power Transformer for a very low Noise Floor – Three band fixed frequency equaliser with 12db cut/boost, High/Mid/Low.